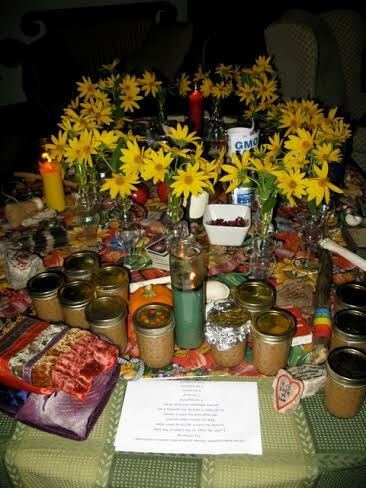 For the last seven years, I have celebrated Mabon by gathering for a weekend in sacred space with an ever-growing circle of Goddesswomen. 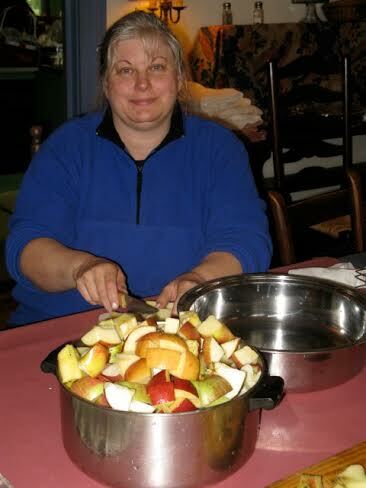 I wanted to share something that has become a traditional craft – making applesauce. 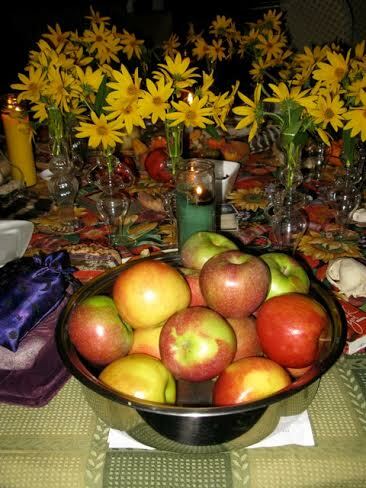 The apple is one of Mabon’s symbols. It represent the Crone and the harvest. 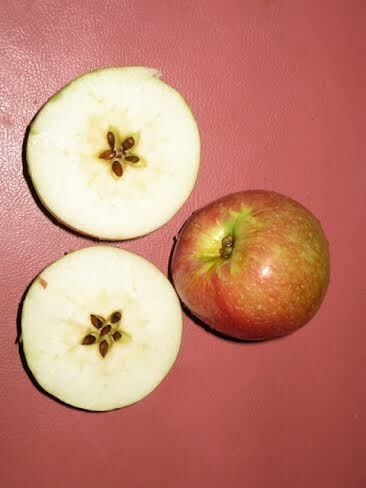 The apple has also been a symbol for life, immortality, healing, wholeness and renewal. For witches, it contains a “secret.” When you turn an apple on its side and cut it open, it reveals a pentagram containing five seeds that stand for the elements and the directions. Apples are a fruit which gives life, but also a fruit whose seeds bring death. And as it was and ever shall be, two halves of a whole, beginnings and endings, all are one. Everyone attending brings a couple of apples to our opening circle. The fruits are as varied as those who bring them. They are collected and time Saturday is spent coring and cutting them into chunks, then cooking them on the stove before putting them through a vintage funnel-shaped Wearever aluminum sieve that sits on three heavy wire legs. The sauce is put in jars and returned at our closing circle that everyone may take the spirit of the weekend home with them. The tradition is easily adaptable to an individual or family craft. There are dozens of recipes available. While I add whatever ingredients move me in whatever quantities work for me, here is a recipe that you can use as a guide. Mix apples with cinnamon and sugar and put into crock pot. Pour water and lemon juice over apples.